This past week, Meek Mill was sentenced to two to four years in state prison for violating his probation, a verdict made by Judge Genece E. Brinkley that sent the hip-hop community into universal outrage. To break it down, the Philadelphia rapper was arrested in Philadelphia back in 2007 on 19 drug and gun-related charges. He was eventually found guilty of 7 of those charges and went on to serve eight months in prison. He later violated the terms of his probation four times, in 2011, 2013, 2014 and 2015. In 2017, Meek was arrested on two separate occasions, once after a fight at a St. Louis airport and most recently, in August, after recklessly driving a motorcycle in New York. Although both cases were dropped, the incidents led to a court appearance to determine whether or not he was in violation of his probation, with the ruling sending him back behind bars. 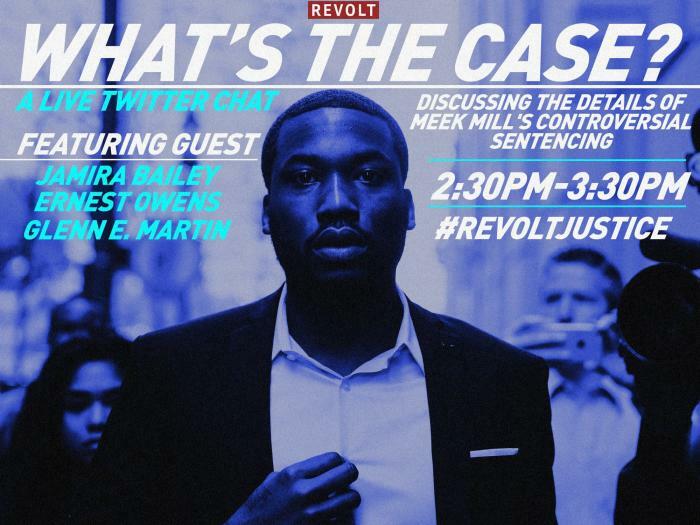 While Meek's legal team is already at work laying the predicate for an appeal, by way of outlining the ways in which the Judge exhibited "enormous bias" over the years, REVOLT recruited several special guests to lead a conversation surrounding the controversial sentencing. Jamira Burley, the Head of Youth Engagement and Skills, Global Coalition for Education & 2015 Leading With Conviction alumna, Ernest Owens, journalist and editor of G Philly and Glenn Martin, the founder and president of JustLeadershipUSA, each helped lead REVOLT's impactful Twitter discussion on Thursday (Nov. 9). With the culture up in arms, and for ample reason, countless fans participated in the discussion, with many weighing in on their own experiences in the prison system and opinions of the legal justice system in general. Take a look at some highlights from the discussion below. How does someone even end up on probation for 10 years? An unchecked D.A. & court system that makes more profit for their departments on the bet that Black youth will slip up indefinitely and they can keep throwing them behind bars. Cash bails, especially from wealthy celebrities they may target, isn't anything less. How? American unjustice system: 1607 to today. Voting. We, the people, pick our judges and D.A. It starts with who we vote in and looking at their records. Does prison actually do the job of rehabilitating people? PRISONS aren't in the business of rehabilitation... but PROFITS from PEOPLE! The process of rehabilitating people is the dual smokescreen to justify the underhanded thin ice placed for grown men to build lives on...the happenstances of life have to have odds of seeing a shooting star to completely live unfrayed after "Criminal Justice Involvement"
PEOPLE do a better job at rehabilitation themselves... Not PRISON! Not true. There ARE cases of people being rehabilitated. People get degrees in prison, do work release programs, learn crafts, etc. So perhaps the question, how do we increase rehabilitation? Is there a chance that Meek's sentence was politically charged? In other words, did the judge make an example out of him? Philly had a D.A. race where they elected a man who had sued the police department 75 times. It speaks volumes to those who feel law enforcement isn't on their side. The judge didn't make an example out if Meek, she was being petty. More media coverage on judges like we often so Mayors and other politicians. 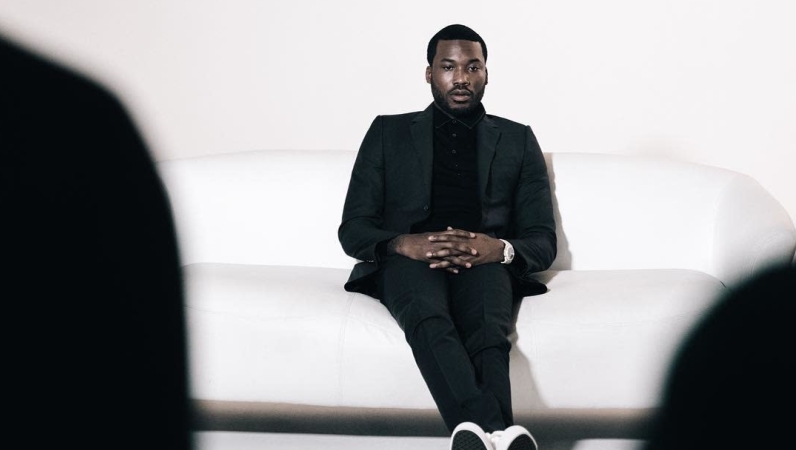 What's the story behind the judge's extensive history with the Meek Mill case? We've heard a lot about interactions that were out of the norm. Requests for songs to be made, popping up at his community service, and even requests for him to change management. he was beat by police, the same police then turned around on the stand and said HE CHASED THEM with guns. which is the reason he got charged with the crime that he's on probation for right now. so for you to say "he knew better" or "do the crime do the time" just think. Let's be clear (one more time for the people in the back) Meek Mill is a hot mess at times and the king of taking Ls. Most people don't get locked up as children where I'm from. The prisons are hell holes more than rehabs here. My point: Prison Reformation. What does being in prison do to a person mentally? I believe meek was used as an example to show him that he's not invincible. Meek has been too prideful in her eyes & I feel as though it was to humble him. Surely, she knew the sentence was ridiculous. What needs to change so that those sentence can actually be rehabilitated and not return to prison?